Here is to a violence-free, free and fair elections in Nigeria today. This entry was posted in Tweets on March 28, 2015 by rafiqraji. We are all still reflecting on the recent death of Lee Kuan Yew (LKY), the rightly dubbed “Father of Singapore.” That Singapore’s success is largely due to LKY’s leadership is hard to refute. It would be shortsighted, however, to think any single individual can bring about such monumental change without help. Singapore had characteristics that made it amenable to strong-willed leadership. 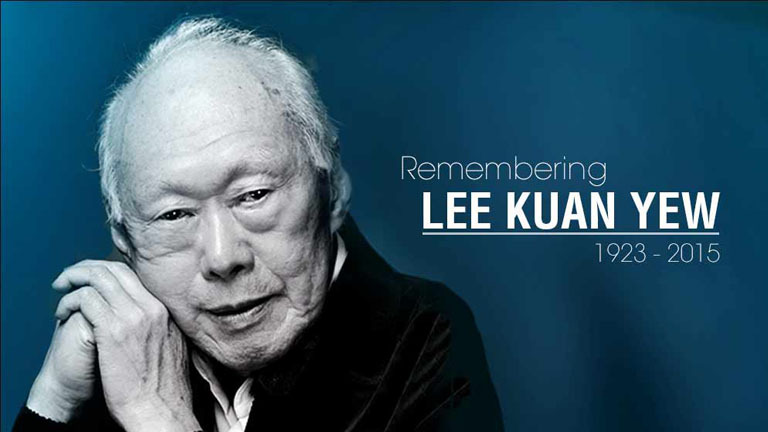 When the island state was expelled from Malaysia in 1965, many of LKY’s contemporaries likely didn’t envy his “good fortune.” The probability of success was marginal. Ironically, these are the type of conditions from which visionary leadership is borne. When the probability of failure is high and writ large, there is less competition. The leader who is borne out of these conditions has the unique opportunity to set the stage. The analogy that comes to mind is that of a literary writer. You have almost complete control over the setting, plot, and characters. The leader creates a system that supports his or her vision for the longest time possible before success breeds political competition. Some would argue that such conditions were not unique to LKY’s Singapore. After all, most African countries had that opportunity at independence as well. Many an African leader uses LKY’s example to justify holding on to power. The typical argument goes thus: the leader needs time for his or her policies to yield results. Look at Singapore they say. It is true that the heterogeneity of Africa made it easier to divide and rule its peoples. But it would be self-serving to think that foreigners are entirely responsible for the continent’s current predicament. The British did divide and rule other non-African colonies. Singapore is a former British colony. What then made it possible for Singapore – which though colonized by the British and gained independence at about the same time as many African countries – to get its acts right? I think a fundamental characteristic was the country’s homogeneity. I define this to mean the dominance of a particular group, whether tribal, ethnic or political. A dominant political party (People’s Action Party has been ruling Singapore since 1959), tribe (74% of residents are Chinese), religion (34% are Buddhist), language (50% speak Mandarin Chinese) and LKY’s strong-willed but enlightened leadership made it possible for Singapore to rise from its desperate state those long years ago to become one of the world’s wealthiest nations today. There was also an element of good fortune, for the man, his country and fellow compatriots. The parallels to be drawn with Singapore for many an African nation, which gained independence in the 1960s, are not flattering. And just because a model worked for Singapore does not mean it would lend itself well to the African condition. In fact, one could say many a longstanding African leader had similar opportunities as LKY. Africa’s current mixed fortunes point to the different directions taken by those opportune to lead its affairs at the time. My view is that it is too late for a Singapore model to be adapted for Africa’s peculiarities. A major constraint is the continent’s heterogeneity. As there have been numerous opportunities for past African leaders to change these configurations, there is really no point now blaming the architects of that “diversity.” Times have also changed. Growing up in Nigeria in the 1980s, everyone watched the same government-owned television channel, land telephone lines were the preserve of civil servants and the wealthy, most aspired to enrolling at government secondary schools, and there were no private universities. Today, things are very different. Social media has democratized speech. Because even though there has always been the freedom to speak, the reach of speech had hitherto been constrained by media access. Not anymore. Reminders of these legacies of tight government control can still be seen in other major African countries. In South Africa – the continent’s most developed state – for instance, the South African Broadcasting Corporation (SABC) still has the widest grassroots reach. And even though social media is pervasive, a lot of rural people still rely (prefer even) to listen to news on the radio. That space of course now has numerous private actors. The fundamental point though is that some of the stringent government controls implemented by LKY’s Singapore in the 1960s to 1980s – that in part contributed to the country’s success – were also in place in most African countries. In an earlier note, I argue for a rethink of Africa’s “democratic” structures. Our current systems are just too expensive to maintain. And the costs of entry for aspiring politicians – well intentioned or otherwise – are all the more prohibitive on both pecuniary and moral fronts. The emoluments and privileges accorded elected officials in a lot of African countries make the trappings of power all too attractive for rent-seeking leadership. A well-quoted story from LKY’s autobiography is how surprised third-world countries’ leaders were when they found out he flew commercial to a summit they were all attending. Is such a man or woman to be found in developing countries currently in need of that type of leadership? Yes. However, are the conditions present in these countries for such rare men and women ascend to power and effectively govern without succumbing to the trappings of power? Not really. Homogeneity and a power-distant culture provided the foundation for the type of political stability that LKY’s visionary leadership needed to triumph in Singapore. Most African cultures are power-distant as well. But the heterogeneity of cultures, beliefs, religions, and past injuries without justice have made it difficult for such type of leaders to emerge. And for the rare ones that manage to get ahead, the bruises they acquire along the way make them pliant to the flawed system. The alternative is a wasted tenure of ineffectiveness. That said, there are arguments hither and thither about the sustainability of LKY’s Singapore model; especially as the country’s productivity growth remains lackluster. The view I take is that strong-willed visionary leadership can only go so far. To use an automobile analogy, strong-willed, enlightened and visionary leadership can help key-start a society and economy. But for the car to make it through the long journey, the engine (a country’s institutions) must be well-designed and properly (and regularly) serviced. A dearth of visionary leadership in most African countries has meant it took longer for them to even start their engines. And because the designs were flawed and engines not regularly serviced, the cars failed intermittently on the road to “Wealthland;” with mechanics (NGOs, multilateral agencies, foreign governments, etc.) always on call to fix the slightest problem. The outcome: a slow, uncomfortable and very long journey to prosperity. What then is the solution? Well, the car is already on the road. You can make the necessary repairs, buy new parts, or simply get a tow truck. Consequently, there would be delays and additional costs. In the end though, it is the persistence and will of the driver(s) that will get the car and its passengers to Wealthland. If the car’s engine is faulty, however, there is little any driver can do. This entry was posted in Africa, Leadership, Politics and tagged Africa, Leadership, Politics, Singapore on March 27, 2015 by rafiqraji. This entry was posted in Tweets on March 7, 2015 by rafiqraji.